Yogurt is by no means a new creation. It’s been around for thousands of years. Today, it’s more popular than ever. It’s delicious, healthy, and can be used in almost anything. People make frozen yogurt as a desert, put fruit in it for breakfast, and even marinate their chicken in it for dinner. It's safe to say that the yogurt craze has taken over America. However, most of the people who love and enjoy yogurt know almost nothing about it. Yogurt has an ancient history and is made through quite an interesting process. In this article, we're going to take a deeper look and break down exactly what yogurt is, and even how to make your own. How Is Yogurt Made And How Does A Yogurt Maker Help? How Do Yogurt Makers Work? Yogurt is essentially fermented milk. Yogurt makers take milk (sometimes high-fat, sometimes low-fat, depending upon the desired product) and heat it up in a large vat. They then add two types of bacteria, which feed on the milk sugar and produce the creamy, smooth texture that we’ve all come to love. After the plain yogurt has been created, the yogurt makers simply add in all of the extras. Some add in artificial flavoring, others add in whole fruit, and certain people freeze it and turn it into a desert such as frozen yogurt or other goodies such as yogurt ice cream sandwiches. The people who first discovered yogurt most likely did so by complete accident. An ancient dairy farmer probably left a small bucket of milk out in the sun for too long, and the conditions in the air were just right for the good bacteria to get into the milk and create the world’s first yogurt. The notorious Mongolian Emperor, Genghis Khan, as well as the rest of his large army reportedly lived off of yogurt. It was the perfect food because it contained fats, protein, carbohydrates, and helped to ward off some of the stomach illnesses that plagued people in the ancient world. Yogurt was also fully sustainable and easy to make almost anywhere. Meat would require soldiers to kill their livestock, and they would have to wait years for the next generation to grow big enough to kill. Fruits and vegetables would require the armies to stay somewhere for a long period and farm the land. Yogurt, on the other hand, is sustainable. Since it's made from milk, all you need to do is keep your female livestock happy and in good condition, and they keep on producing milk which can be cultivated into healthy, ready-to-eat yogurt in less than ten hours. This meant that the army could stay on the move, sustain their livestock population, and keep on conquering. The word “yoğurt” is an old Turkish word. They were likely first introduced to yogurt when the Mongolian armies marched through their lands with an army fueled by yogurt. Yogurt was originally made by letting fresh milk sit in animal stomachs. The stomachs were a great way to keep milk because they're tough, hard to tear, and watertight. They also have natural bacteria and enzymes on their surface that react to warmed milk. After the dairy farmers would get the milk, they would heat it up in large pots over an open fire. Once the yogurt was warm, but not quite boiling, they would pour it into their animal sacks and let it sit overnight. The natural enzymes would break down the milk, and by sunrise the next day the stomach sacks would be full of yogurt and ready to be eaten for breakfast. Besides allowing the Mongolian Empire to conquer much of the Eastern world, yogurt also played an instrumental role in the Mediterranean world. In ancient Greece it was called “oxygala,” and it was a lot thicker than the traditional Turkish and Mongolian yogurts. They would often use goats milk and would ferment the yogurt in the stomachs of goats. This oxygala is often attributed to the reason that the Greeks had exceptional longevity. 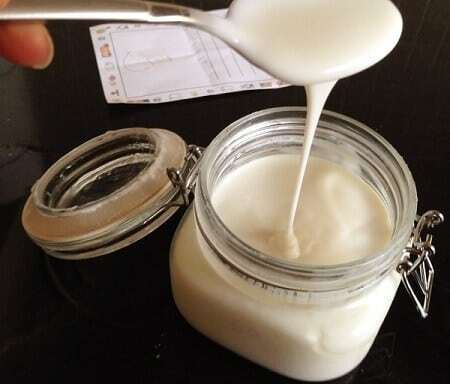 This thickened yogurt was full of healthy probiotics which were able to fight off disease and illness. It also provided a way for people who were too poor to afford meat to be able to get all of their nutrients. It was far more affordable than meat, which was often reserved for wealthy nobles. The traditional oxygala grew into what is now known as Greek yogurt. To make Greek yogurt, they use ultra-skim milk. They start by making the yogurt in a traditional manner. Then, the yogurt is put through a thick cloth which further strains the yogurt and does away with the liquid whey. After straining, the Greek yogurt is ready to go. It's three times as thick as traditional yogurt and is far more concentrated. It's high in protein and has a light, whipped texture to it, and a slightly sour taste that many people have grown to love. Greek yogurt is the type that is most often used in cooking applications since it's thicker and doesn't have a lot of liquid. You’ll be pleased to hear that modern yogurt manufacturers aren’t heating their milk over smoky fires and fermenting it in animal stomachs anymore. Today, the process is a lot more hygienic and is controlled by advanced instruments. Usually, large vats of milk are heated to a specific temperature, and then carefully measured amounts of bacteria are added into the mix while being constantly agitated and stirred by a large mixing paddle. 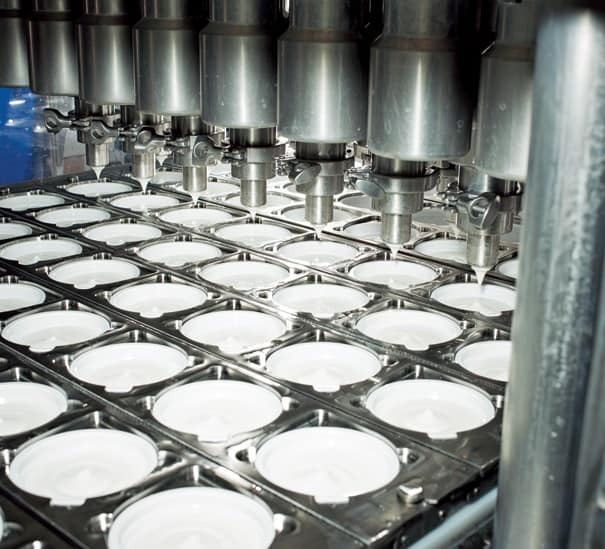 After the yogurt is ready, it is pumped out onto an assembly line, deposited into containers, vacuum sealed, and shipped off to the store where you can buy it. As delicious as store-bought yogurt is, it’s not quite as rewarding as making your own yogurt. Thankfully, you don’t need to buy a vat the size of your living room and build an assembly line in your garage. There are small homemade yogurt makers that can fit on your kitchen counter, are easy to use, and can be cleaned out in a matter of minutes. Yogurt makers basically minify the same process that’s used by large-scale manufacturers. All you need to do is add in your choice of milk, a few spoonfuls of pre-made yogurt (which contains your live culture and bacteria), and press a button. The yogurt maker will keep your mix at a steady temperature, and within a few hours, you'll have your own homemade yogurt.Once you have your fresh yogurt base, you can further strain it to make Greek yogurt, or you can add fresh fruit or additional flavoring. When making yogurt, you will need to decide which type of bacteria is right for your set up. There are two main categories of cultures that you will have to choose between; thermophilic and mesophilic. Let’s take a few minutes to go over some of the differences between these two. This is the most common type of culture used in yogurt making and is the same that is used to make most of the store-bought options that you see in your local grocery store. Thermophilic cultures favor warm or hot environments, and you will most likely use these for your homemade recipes. These cultures are safer because they require a temperature between 105 - 115 degrees Fahrenheit to properly develop. At this high temperature, it is unlikely that other unhealthy bacteria will be able to survive, so you won’t have to worry about your yogurt going bad or becoming too sour. Thermophilic cultures are also the easiest to get a hold of. When you're making homemade yogurt, all you will need to do is add a few spoonfuls of regular store-bought yogurt to your existing mix. This will contain all of the cultures that you need to make a new batch of yogurt. Mesophilic cultures were most likely the type of bacteria used in ancient yogurt making. They can develop just fine at room temperatures of 70 - 78 degrees Fahrenheit. This makes them ideal for people who want to create yogurt without having to buy a yogurt maker. However, there are two downsides of using mesophilic cultures. The first is that they can take up to 24 hours to fully develop, which means that you’ll have to wait a long time for your yogurt to be ready. The second is that due to the long sitting time, and the lower temperatures, there is a greater chance that outside bacteria will get into your yogurt and cause it to spoil. While using mesophilic cultures may be good if you find yourself without a yogurt maker, it’s not the most efficient way to make your yogurt. It’s far more efficient, not to mention safer, to use thermophilic cultures and a good yogurt maker. Yogurt is a dairy product, and the type of milk you use will greatly affect the outcome of your yogurt. The milk that you use will affect how sweet, sour, smooth, or light that your yogurt turns out to be. An accurate comparison would be cheese. For example, you'll find that goat cheese tastes far different from cheddar cheese, and low-fat mozzarella cheese tastes a lot different than a high-fat Manchego cheese. Yogurt is the same exact way. This is great for homemade yogurt makers because it means that your options are almost limitless. There are hundreds of different yogurt recipes and flavors that you can make with different types of milk. Let’s take a look at some of the common flavor profiles that you’ll run into. 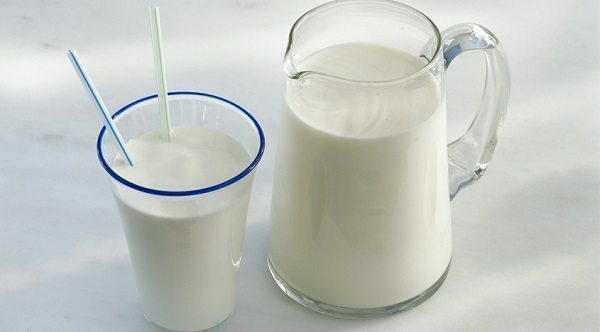 This is the most common form of milk, and you can experiment with multiple different animals to achieve varying results. Cow milk is the most commonly used in yogurt making because it’s the easiest to get a hold of. 99% of the yogurt on your grocery store shelves is made using cow’s milk. As we discussed above, it will need to be properly heated to encourage the development of certain cultures. Goat milk was the traditional milk used in many eastern countries that didn’t have cattle. In the past few years, it has made a resurgence in the Western world due to its unique flavor profile. The lactose structure of goat milk is a little different from cow milk and yogurt made from goat milk may take a little bit longer to sit. The results can be very rewarding, however. Goat milk has an incredibly smooth and light texture and a slightly sour aftertaste that goes along great with fresh-cut fruit or in a smoothie. Sheep milk is probably the least commonly used ingredient to make yogurt. This is simply because sheep don't produce a lot of milk, and unless you're a sheep farmer, it can be hard to get a hold of. Maybe you're lactose intolerant, or you adhere to a vegan diet that doesn't allow the consumption of animal products. Yogurt made from alternative plant-based milk has quite a different process from traditional dairy-based yogurt. You will need to purchase special vegan cultures that will interact with the various alternative milk (almond, cashew, coconut, etc.). In addition to this, you may also need to add a thickening agent and allow your yogurt mixture to cool in the refrigerator for a few hours. Just as you can use different types of milk to achieve different results, you can also change the outcome of your final product by manipulating your mixtures temperature and using different cultures. Let’s take a look at how these can affect your final product. The recommended temperature for heating milk while using a thermophilic culture is between 105 and 115 degrees Fahrenheit. However, this is the sitting temperature. By manipulating the milk’s temperature within the first 30 minutes of heating, you can achieve a drastically different texture of yogurt. For instance, if you want to get really thick, creamy yogurt, then you can heat the milk up to 180 degrees during the first 30 minutes before reducing the temperature and letting it sit for the remaining 5 to 10 hours. Experiment with different temperatures. If you want something that's not quite as thick, then consider warming the mixture to 140 or 150 degrees for the first 20 or 30 minutes. As we discussed previously, there are two separate categories of yogurt starter culture; thermophilic and mesophilic. 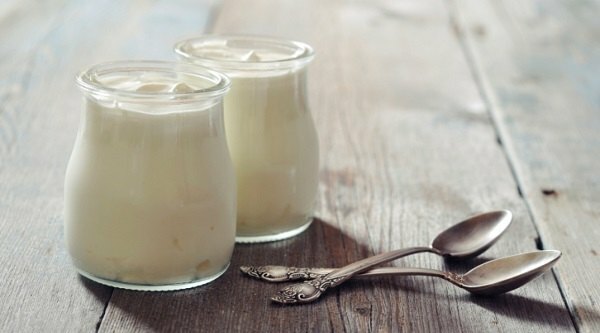 If you’re using a yogurt maker, you’ll need to use a thermophilic culture that favors higher temperatures, and if you’re making your yogurt in a jar at room temperature, then you’ll want to use a mesophilic culture. However, within these two categories, there are multiple different types of starter culture. Each has different features and can result in a completely different flavor of yogurt. Some cultures will result in a more sour flavor; others will produce a sweeter flavor. Using different cultures can also affect the texture of the yogurt. Some cultures produce a smooth, fluffy texture, some produce a grainy texture, and others produce a thick, dry texture as you find in Greek yogurt. To figure out what your favorite is, you need to experiment. Try using different cultures with different types of milk. A certain culture that creates a certain type of cow yogurt may not produce the same result when used with goats milk or sheep milk. You can look up some recipes online, but at the end of the day, only you can decide what your favorite is. If you have a yogurt maker, then the possibilities are endless. 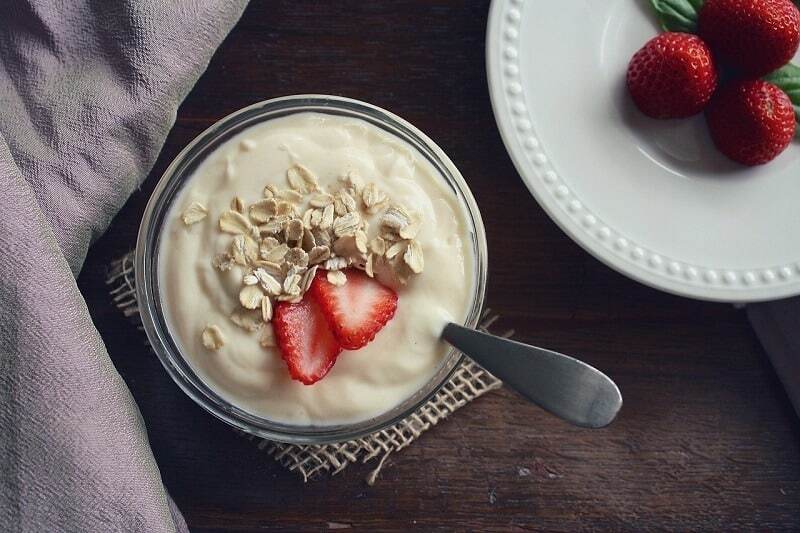 Making homemade yogurt is a great way to spend time in the kitchen. However, there are a few things that you should watch out for. Yogurt is very sensitive to small changes in its environment, the ingredients you use to make it, and the temperature you keep it at. A slight variation in any one of these steps can produce a drastically different outcome that may be unwanted. If you've ever made yogurt that smelled funny or had a strange, foamy texture to it, then the chances are that your mixture was contaminated by yeast. In small amounts, this won't hurt you, but if you eat a lot of this, it can cause you to have an upset stomach or produce a lot of unwanted gas. Yeast contaminated yogurt will also spoil far quicker than normal. Yogurt that has become contaminated with yeast also doesn't taste very good. A small amount may create a somewhat desirable slightly sour taste, but too much of it will taste like you just took a bite out of an unripe lemon. It will immediately make your stomach curdle, and you might become sick. Our ancestors all drank raw milk. 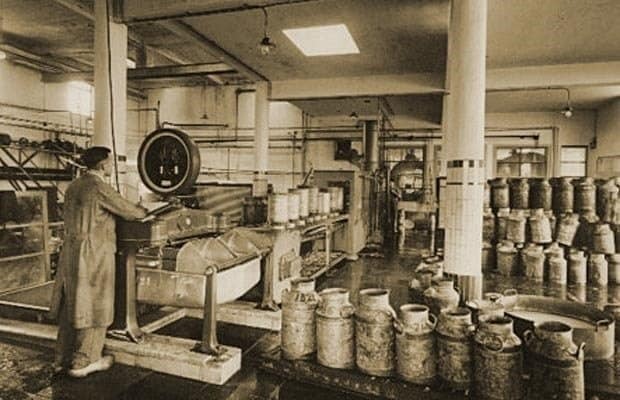 It is only in the past hundred years that technology has advanced enough to be able to process milk and give it a long shelf life and the smooth texture that we’ve all come to know since our childhood. Recently raw milk has come back into style. 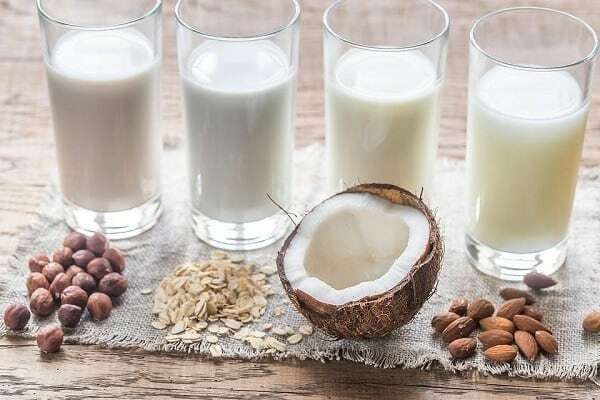 Whether it’s just a fad is still yet to be seen, but whatever the case is, doctors, nutritionists, and naturalists have been recommending raw milk to just about everybody. It’s incredibly healthy and has loads of good bacteria, extra protein, and essential nutrients that are good for your skin, hair, and immune system. Because of all these benefits, many people have taken to making yogurt with it. This can have some great health benefits, but you need to be aware that the texture may not be what you expect. Because of the high whey content in raw milk, your yogurt will be extra runny. It may even have a soup-like texture to it. This can be quite disconcerting to some. There is nothing wrong with this, and raw milk yogurt is still perfectly healthy to eat, but it's something to be aware of if you're not a fan of runny yogurt. Whenever you’re making yogurt on the stovetop, you need to carefully monitor the temperature with a kitchen thermometer. If left unattended, it can be easy for the milk to get too hot, which can have an adverse effect on the texture and making it grainy. Some people may like this, but most find it rather undesirable. However, this is only a problem that you'll run into when using cooking yogurt in a pot. If you're using a yogurt maker, then it will keep your mixture at the perfect temperature, and you won't have to worry about it. Your yogurt will turn out smooth and creamy every time unless you use a specific culture to change the outcome. Take 5 cups of milk and warm it up to 175 degrees Fahrenheit on a stove. Mix in your choice of culture, or just add 3 tablespoons of plain or Greek yogurt. Blend the mixture in a bowl with a whisk. Add in some fresh-cut fruit and enjoy! There you have it! Everything that you ever wanted to know about yogurt! There's a reason why people have been making and eating this creamy dairy product for almost 8,000 years. It's one of the healthiest foods in the world and has tons of great benefits. Besides this, it's also very delicious, and there are countless different ways to prepare it. Unfortunately, due to its popularity, it’s often quite expensive when you buy it in the store on a daily basis. 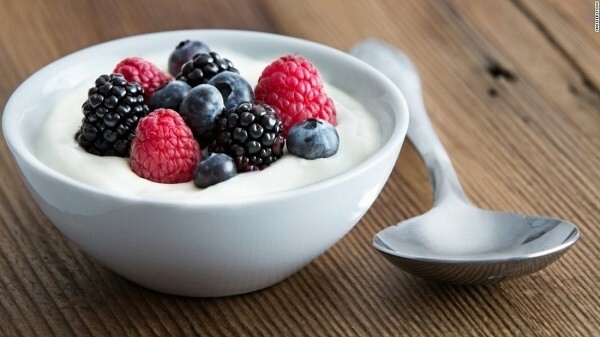 Store bought yogurts can also have unwanted preservatives and added chemicals. It’s far cheaper (and healthier) to make your own yogurt at home with a yogurt maker. These yogurt makers are small enough to fit on your kitchen countertop, are incredibly easy to use, and will open up a whole new world of kitchen fun to you. If this sounds like something you'd be interested in, take a look at our all-inclusive buyer's guide!